This is a night of worship and ministry led completely by the Holy Spirit. Come with expectation and see what He is doing! Pastor Charlie Elmore will briefly share about worship, and we will spend the whole night in the presence of the Spirit. 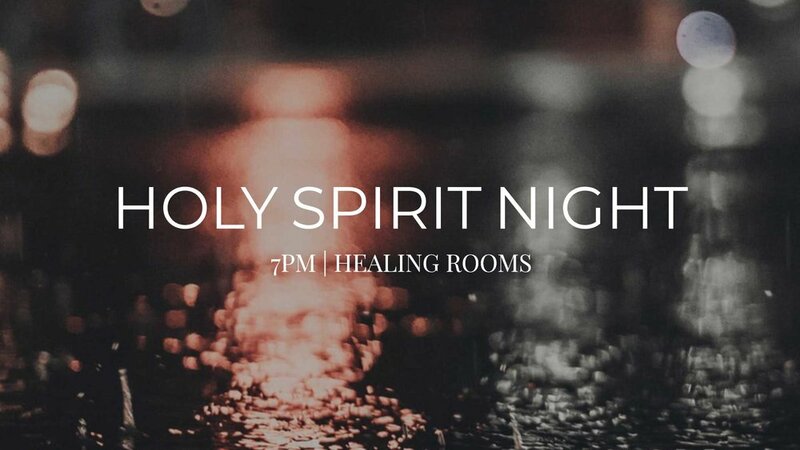 Healing Rooms are open during Holy Spirit Night. Sign ups for the Healing Rooms will be in the lobby area beginning at 6:30pm.